OTTAWA - "What do I want to be when I grow up?" Dr. Kellie Leitch repeats the cheeky question aloud, laughing easily as she buys time for a response. For the rookie Conservative MP from Ontario, rising star in the government ranks and parliamentary secretary to the minister of labour, it is no idle inquiry. Her career paths seem limitless. Leitch, 41, is being interviewed at the Children's Hospital of Eastern Ontario, where she moonlights as a volunteer pediatric orthopedic surgeon between parrying questions in the House of Commons, voting on bills, arguing policy on committees and travelling to her Simcoe-Grey riding for constituency work. Her unpaid time at the superb children's hospital, known as CHEO, allows Leitch to maintain her surgeon's credentials while she masters the art of electoral politics. "I don't know if I was confident that I'd always be able to keep a foot in both worlds, but I always was hopeful that I would," Leitch says of her decision to seek office. When she won the nomination after the downfall and expulsion of Helena Guergis from the Conservative caucus, Leitch says people regularly raised the problem of physician shortages and whether she could better serve the public in her trained profession. There are about 800 practising orthopedic surgeons in Canada, but only 34 list pediatrics as a full or part-time specialty, according to the Canadian Orthopedic Association. Leitch says patching up kids and listening to their parents' concerns — parents who come from all walks of life — "keeps me grounded. It's part of who I am: being a surgeon and taking care of children." But Leitch said she's also always been encouraged, within the medical community, to be more than just a pediatric surgeon. "It's not a common thing, obviously, for a surgeon to do this. But they've been very encouraging and welcoming and wanted me to maintain my credentials and my capability as a surgeon." Hers is a dizzying schedule. In order to maintain her credentials, Leitch visits the hospital two or three mornings a week for rounds before reporting to her day job at 9 a.m. Since January, she's been on call every sixth week, doing rounds in the early morning before heading to Parliament Hill and then returning around dinner — "the witching hour," she calls it — for the evening call shift. "It's entirely unique," Dr. Baxter Willis, chief of surgery at CHEO and himself a pediatric orthopedic surgeon, says of the arrangement. "Kids get injured; we need someone to be available nights and weekends. So we worked out an arrangement with Kellie whereby she could be available on certain evenings (and weekends) to take call." As Willis puts it, he now has "five and a half, five and three quarters" pediatric surgeons on staff — and he's not joking about Leitch's sprite-like frame. "It allows her to maintain her skills and provides us with an extremely competent pediatric orthopedic surgeon and helps us with our call schedule — so a big win-win all around," says Willis. Leitch's work schedule and resume calls to mind a famous anecdote, recounted by Pierre Berton, involving another of Canada's most accomplished authors. "'So you're a writer,' an examining physician remarked jovially to the late, great novelist Margaret Laurence. 'When I retire, I intend to become a writer myself.' To which Margaret replied, cheerfully, 'Yes, and when I retire, I intend to become a brain surgeon.'" What would Laurence make of Leitch? Like that FedEx TV commercial of the executive-golf-pro-surgeon-chess-master-tattoo-artist with the wall full of diplomas and platinum records, Leitch's resume is almost comically festooned with accomplishments. She has both an arts degree and an MBA in addition to her medical degree and surgical specialty. She was the chair of pediatric surgery at the Children's Hospital of Western Ontario in London, while serving as the assistant dean at the Schulich School of Medicine and Dentistry and simultaneously co-directing the health sector MBA program at the Ivey School of Business. Leitch is not bilingual but, true to form, she's working on it. The Winnipeg-born, Fort McMurray-raised Leitch has worked at the Children's Hospital of Los Angeles and most recently Sick Children's Hospital in Toronto, where she also served as an associate professor at the University of Toronto. She's also sat on multiple boards, including Genome Canada and Canada's AIDS research body. Even as a resident at the University of Toronto she was heavily involved with the YMCA. "I worked under leadership that encouraged other interests, and when you're well supported you can get a lot of things done," she says, a response that all but erases her own prodigious work ethic. That doesn't include her partisan political life, which she's been pursuing since age 14. 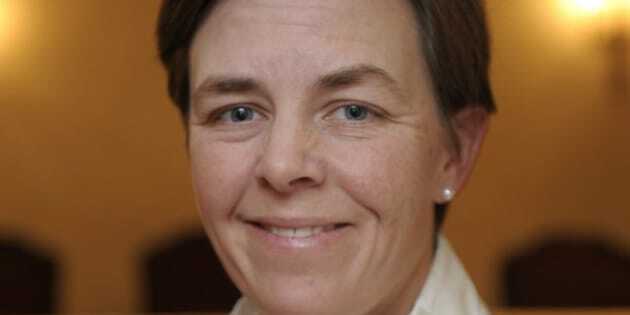 Leitch was a campaign strategist for MPP Christine Elliott — wife of Finance Minister Jim Flaherty — when Elliott ran for the leadership of the Ontario PCs in 2009. She also served as chair of an expert panel that recommended the politically popular children's fitness tax to the Harper Conservatives. To hear Leitch tell it, the work on that panel served as the nexus to her career in electoral politics. "About 2.4 million children benefit from that tax credit. It's one of the most ... subscribed-to tax credits in the country," Leitch says. "When I was in practice I saw a lot of kids in clinic. But I'll never see 2.4 million children." Tax policy experts will say these types of boutique credits reward people for doing things they were already doing while clogging the tax code, but Leitch maintains the credit is a boon to children's fitness. She wears her partisan convictions proudly, if occasionally self-consciously. On the same day she was interviewed at CHEO, Leitch rose in the House of Commons to deliver one of those scripted statements called SO-31s that have become partisan stink bombs under the Harper Conservatives. Asked about the performance, Leitch again has to laugh. While she mounts a reasoned defence of the back-to-work bill that was ostensibly the subject of the statement, she doesn't try to rationalize the ham-fisted partisanship with which it concluded. Leitch notes she didn't become a surgeon by walking into a surgical theatre on Day 1 and starting a hip operation. "It was a gradual process of learning and being given opportunities, and knowing how to do things properly." Now in politics, Leitch says she is getting "opportunities to learn how it works. Part of it is learning how to perform in question period, part of it is running committee." So, really, what does Leitch want to do when she grows up? "I do define myself — particularly because of the amount of time and effort of becoming a surgeon — as a surgeon," Leitch responds. "In the long run for me, I want to have an impact on families and really see a change to what are those things that tangibly one can do to improve the quality of life of families in this country. "Now I've done that as a physician, one family at a time, one child at a time ...."